Earlier this year we worked for the USAID-sponsored Afghan Small and Medium Enterprise Development Program (ASMED - see Note 1) on the value chain development of the saffron industry. This took us to the old historical city of Herat in the west of the country and then further afield internationally to track the saffron trade through Turkey, the UAE, Spain and beyond to its final markets in Europe and North America. 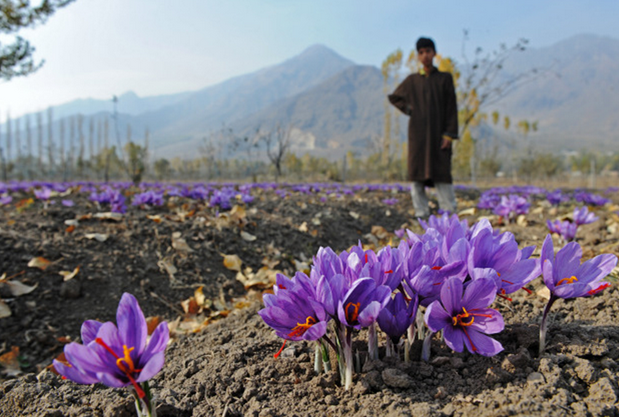 In its modern incarnation the Afghan saffron industry has developed with labour returning from refuge in Iran and donations of planting material from the Netherlands. The main industry is to be found in the districts around Herat City. 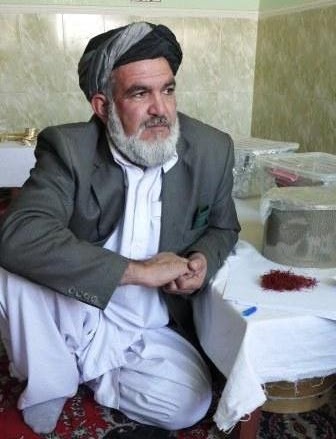 Production is low (1,800 kgs), and the value chain analysis shows that while the retail price of saffron can be very high (as much as $8,000 to $10,000/kg in western markets) Afghan farmers receive very little of this ($1,300/kg). We disputed the popular notion that saffron (derived from the Crocus Sativa flower) can substitute for poppy at any meaningful volume. Profits accrue to merchants who have links through “friendship channels” to markets in e.g., Germany and the USA. 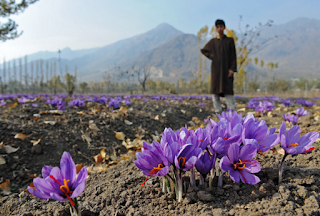 In our analysis, the Afghan saffron industry is seen from the perspective of the international industry that is dominated by Iran which exports 80 to 90 percent of the available world supply of saffron. Over half of this is exported to Spain where it is re-processed and re-packaged as “Packed in Spain”; the more unscrupulous Spanish companies sell it on as “Spanish Saffron” at a premium price. Prices for saffron have trended upwards but are seen as responsive to production, albeit with a rather inelastic price-supply function. Iran has tried to push the price up with some success, aided perhaps by a drought in 2008. Elsewhere Iranian saffron meets the consumer in Dubai, and through traders in Istanbul. Consumption is primarily for food use in ethnic cuisine but saffron has medicinal and other traditional uses. Part of its value accrues from being a traditional gift especially within the South Asian community; much of the saffron purchased expensively in the markets of Europe and North America travels back to the sub-continent where saffron used to be grown but is now in decline, partly as a result of these imports. The Assessment Report provided recommendations for the development of the saffron industry in Afghanistan that include a focus on industry structure and regulation especially related to maintaining a distinct brand image for the product together with its current relatively high standard of quality. Suggestions were made for further work by the donors and the possibility of investment in contract farming on a public-private partnership basis (Note 2). 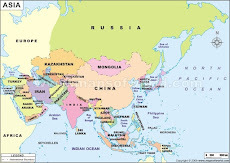 Keywords: Crocus sativus L., saffron, Afghanistan, Iran, Spain, Greece, Morocco, Mashhad, Herat, Alicante, Novelda, Kashmir, corms, bulbs, Dubai Old Souk, Spice Bazaar, Istanbul, paella, Saffron tea, poppy. Note 1: This Assessment Report was produced for review by the United States Agency for International Development. It was prepared by the joint venture partnership of Development Alternatives, Inc. (DAI) and Agland Investment Services, Inc. under Contract 306-C-00-07-00503-00. Currently the report document is not for publication and the opinions expressed in it and above are solely those of the Study Author, Geoffrey Quartermaine Bastin. Note 2: Agland Investment Services, Inc contracted FoodWorks and provided an enormous amount of support that we wish to acknowledge and thank them for.